WASHINGTON (Sputnik) — On November 6, Obama announced that the United States would no longer pursue the Keystone initiative to the applause of climate advocacy groups and the jeers of many Republicans, the energy industry and the Canadian government. "This morning Secretary [of State John] Kerry informed me that after extensive public outreach and consultation with other cabinet agencies, the State Department has decided that the Keystone XL pipeline would not serve the national interests of the United States. I agree with that decision," Obama stated. The controversial pipeline, which was supposed to pump oil from Alberta, Canada to the US Gulf coast and bring more than 800,000 barrels of oil daily to US refineries, had been languishing for years. 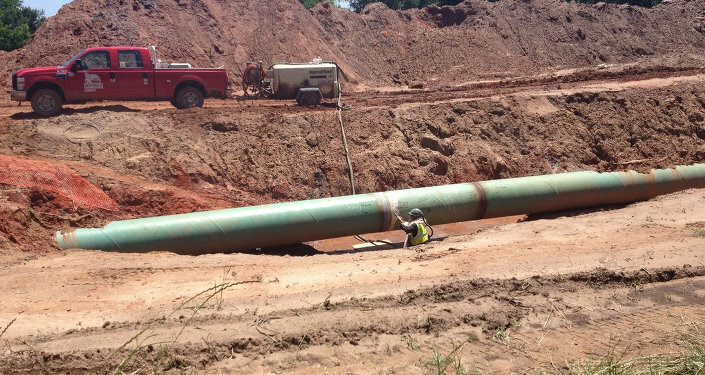 Supporters of the project have argued constructing the pipeline would create jobs and reduce US dependence on energy imports from unstable foreign countries. 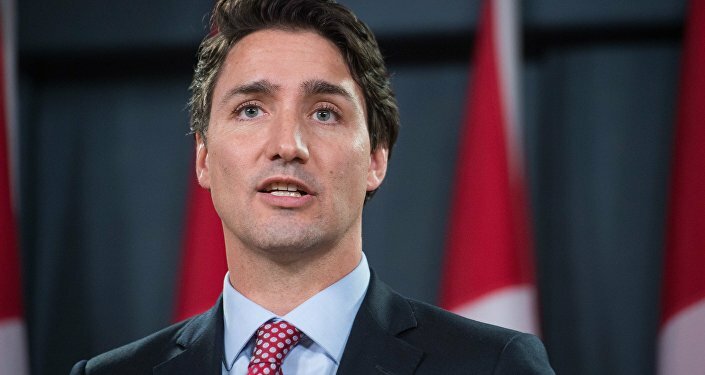 Canadian Prime Minister Trudeau said Canada was disappointed by the decision, but respected the US right to reject the proposal. On November 10, several US Republican congressmen told Trudeau in a letter that the Canadian government should continue advocating for the Keystone XL oil pipeline as the next US president could confirm the project. "If the American people choose a president who supports building Keystone XL, that president can reverse this misguided decision and authorize the project the day he or she takes office," the letter stated, signaling to Keystone supporters that their pipeline hopes were not entirely smashed. 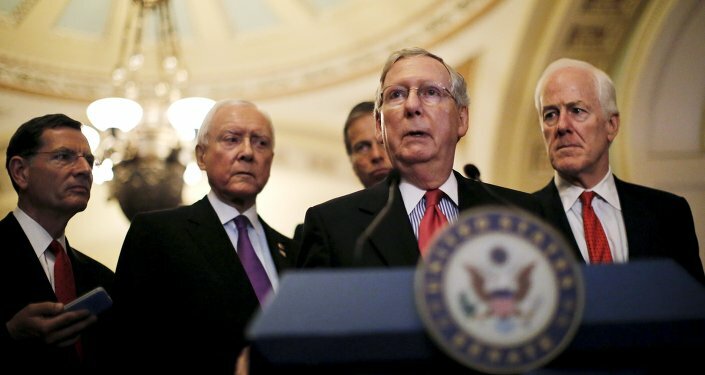 In January, the US Senate introduced Keystone XL legislation, sponsored by 54 Republicans and six Democrats, authorizing the infrastructure company TransCanada to construct and operate a pipeline extending from Alberta to the US Gulf coast, which proponents claimed would create jobs and pave the way to energy independence. "I am encouraged that the Keystone XL pipeline project will come to a vote on the Senate floor as one of the first pieces of legislation for the 114th Congress," Senator Joe Manchin said at a conference in the Capitol. "We have everything to gain by building this pipeline, especially since it would help create thousands of jobs right here at home and limit our dependence on foreign oil." According to the Energy and Commerce Committee estimates, the pipeline would allow American refineries to get an additional 830,000 barrels of oil per day. Keystone supporters have also argued that climate concerns are exaggerated, especially in light of a State Department Environmental Impact Statement that concluded the construction of the pipeline would have no significant impact on the environment. On February 24, Obama vetoed the Keystone legislation on procedural grounds, setting the tone for the battle that would unfold. "I am returning herewith without my approval S. 1, the ‘Keystone XL Pipeline Approval Act.’ Through this bill, the United States Congress attempts to circumvent longstanding and proven processes for determining whether or not building and operating a cross-border pipeline serves the national interest," Obama said. Keystone supporters were also severely disappointed when Obama announced the final decision on November 6 to turn down the Keystone proposal, provoking harsh criticism from Republicans, TransCanada executives and other project enthusiasts. US House of Representatives Speaker Paul Ryan called Obama’s decision to reject the pipeline "sickening," and a decision that rejected the will of the American people along with a bipartisan majority in Congress. Nebraska Governor Pete Ricketts has refused to give up on Keystone XL and called on TransCanada to submit another application. "My administration continues to support TransCanada's goal of building the final leg of Keystone XL, and I encourage them to reapply… when appropriate, so that Nebraska can receive the benefit of the jobs and tax revenue that will come from the project," Ricketts stated on November 19. TransCanada President and CEO Russ Gurling argued that Obama’s move defied reason, considering the United States consumes daily seven million barrels more oil than it produces, and will continue to do so for decades, despite increases in US oil production. "We are disappointed with the President's decision to deny the Keystone XL application," Gurling stated. "Today, misplaced symbolism was chosen over merit and science — rhetoric won out over reason." US advocacy group Center for Biological Diversity told Sputnik after Obama’s announcement that the Canadian corporation was hoping a Republican US president that may succeed Obama would agree to the project. On December 12 at the Paris Climate Summit, Greenpeace Executive Director Kumi Naidoo cited "beating" the Keystone pipeline proposal as one of the environmental movement’s landmark victories of the year. In February, a group of 90 economists and scientists told Obama in an open letter that the Keystone pipeline would make it impossible for the United States to meet its commitment to limit global temperature increases because it would expand greenhouse gas emissions. Fuels produced from the Canadian oil set to be transferred through the pipeline would "result in more greenhouse gas emissions over their lifecycle than fuels produced from conventional oil," the letter said. In April, US presidential candidate Bernie Sanders slammed the Keystone initiative, arguing that it was time for the United States to move away from relying on fossil fuels. "I helped lead the effort against the Keystone Pipeline, because I don’t think we should be transporting some of the dirtiest fuels in the world, and we’ve got to be really vigorous in terms of transferring our energy system," Sanders said. Although the Obama administration eventually rejected the Keystone application, the US government spied on activists considered to be "environmental extremists." In mid-May the Guardian reported citing FBI’s internal documents, that by spying on anti-Keystone pipeline activists the agency has violated its own guidelines prohibiting it from getting involved in sensitive political issues without obtaining a special approval. FBI agents violated this rule by closely monitoring activists who oppose the construction of the controversial pipeline. Just days before Obama’s November 6 decision to reject the pipeline, TransCanada announced that it wanted the US government to pause the review of the presidential permit application for the Keystone XL pipeline, drawing the ire of environmentalists. Greenpeace USA Executive Director Annie Leonard told Sputnik that TransCanada’s request to freeze the Keystone application is an example of its desperation after "years of grandstanding and bluffing." "This is a testament to the power of organizing and direct action against the deep pockets of the fossil fuel industry," Leonard stated. "This is a major moment for the farmers and indigenous communities that live on the pipeline’s route, for families suffering in the shadows of oil refineries, and for communities throughout the world facing extreme weather brought on by climate change." When Obama rejected the Keystone permit on November 6, he took shots at both sides of the argument, stressing that the pipeline would not rescue the economy nor seriously harm the environment, claiming it took on an, "overinflated role in our political discourse." "And all of this obscured the fact that this pipeline would neither be a silver bullet for the economy, as was promised by some, nor the express lane to climate disaster proclaimed by others," Obama said. He added that "shipping dirtier crude oil into our country would not increase America’s energy security," would not lower gas prices and, in fact, the United States now produces more oil than it buys from other countries. On January 29, US Senator Dianne Feinstein scoffed at the notion the pipeline would create significant jobs and help the country in terms of energy independence. "It’s great that this project will create nearly 2,000 direct construction jobs over two years," Feinstein said in a statement. "Unfortunately, those jobs are temporary. That means once the pipeline is complete in two years, operating the pipeline will support only around 50 permanent jobs." Since the Keystone XL pipeline was first proposed in 2008, the United States has gone from the third largest producer of oil to the world’s largest producer, Feinstein added. On Monday, gas prices dropped below $2.00 for the first time since 2009, the American Automobile Association (AAA) reported, lending at least some credence to Feinstein’s argument in January that the Keystone XL pipeline is simply not necessary for America’s energy independence. ISIL Wins in U.S. House; Plus: TPP, NAFTA and the Return of Keystone XL?